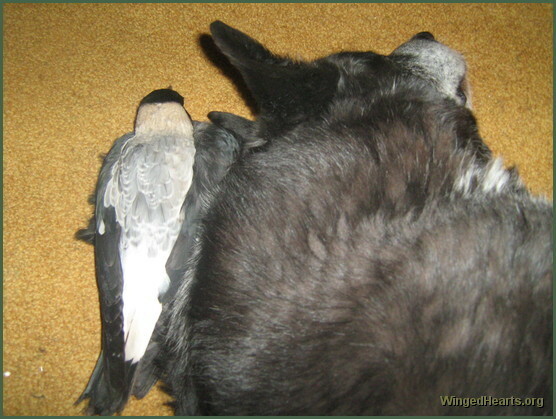 Gypsy loved snuggling up to Buddy her favourite mate (pic below) until Buddy crossed over the rainbow bridge. 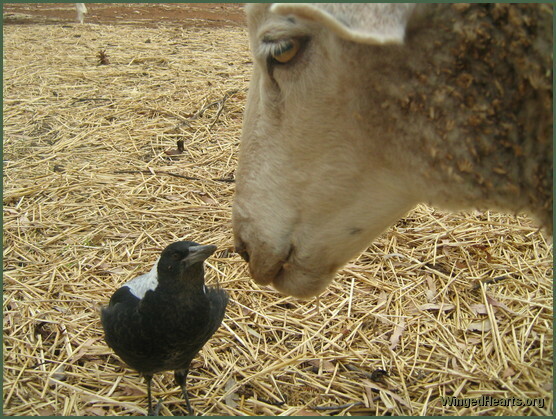 She would come and go as she pleased and made friends with the magpie Mum & Dad and their kids that live near our home. 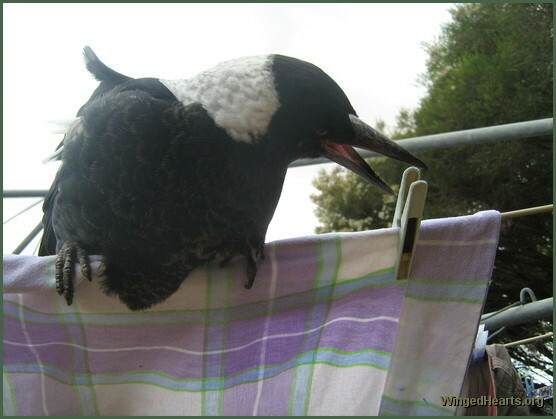 The wild magpies around didn't seem to mind Gypsy while she was still a juvi. 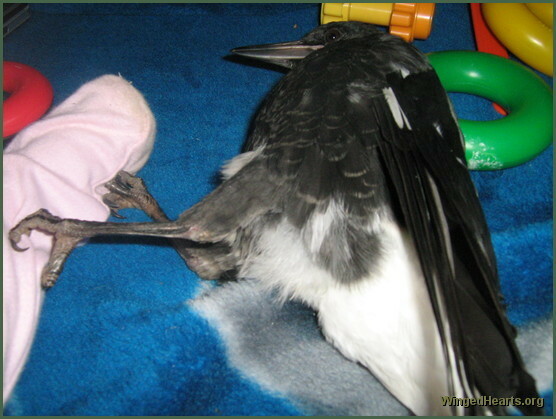 But as the new breeding season approached the parent magpies felt it was time to send Gypsy away. 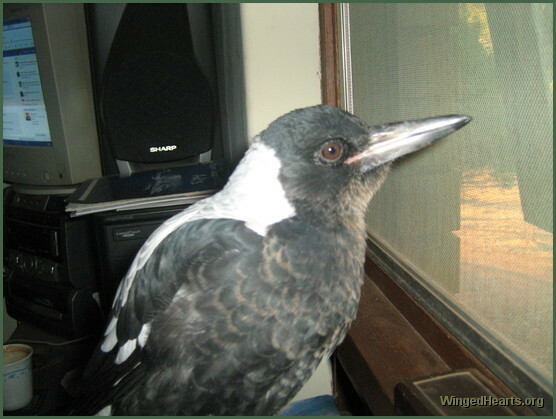 Gypsy was 14 months old when the big male magpie started to chase her when she sat near the window. I was thinking one day she would have babies at home and she would show us. 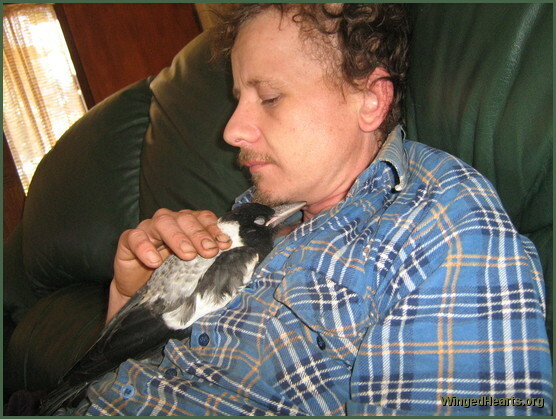 Gypsy is our gift from nature and a also a very clever girl. Damon, my partner taught her to wolf whistle in a few days. She slept inside last night and and had lots of kisses and play. I hate the thought of her leaving. This is her home, her yard in Adelaide South Australia ( Bibaringa) 12/5 acres where I hoped she would live the rest of her life.